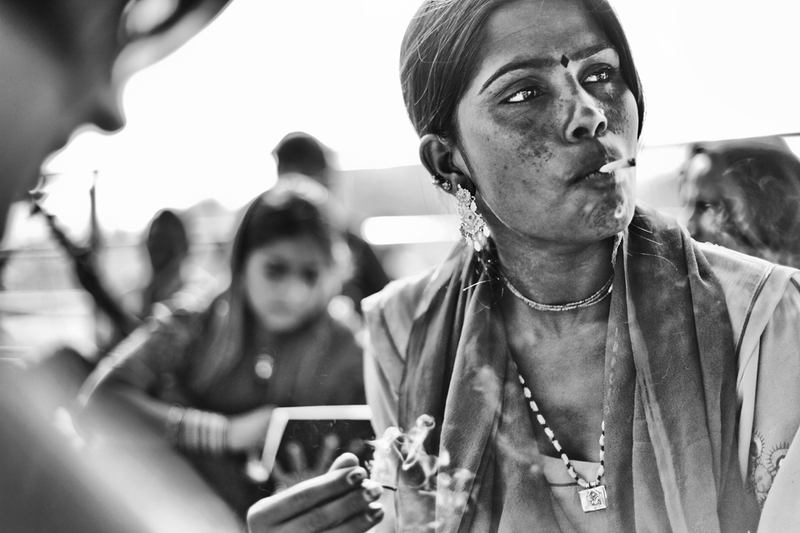 The streets of Pushkar are home to a large gypsy population. I decided to spend half a day relaxing in the sun with some of the gypsy women. I couldn't help but be drawn in by this one woman's bold, brave and beautiful presence. As she lit up a cigarette she seemed so carefree but daring.